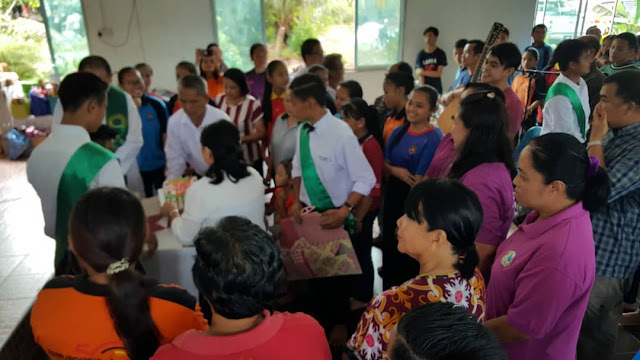 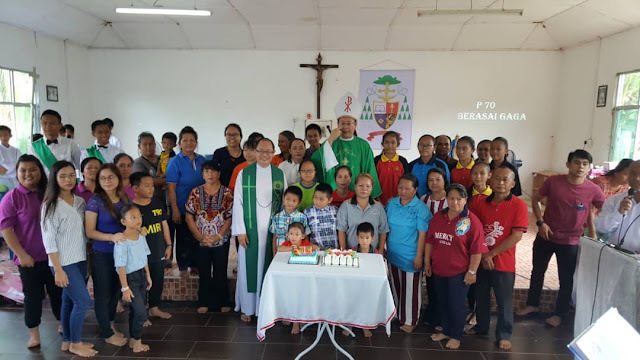 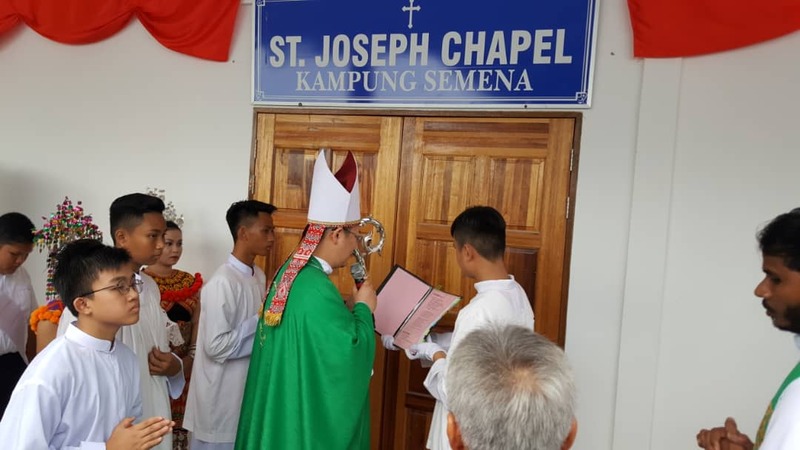 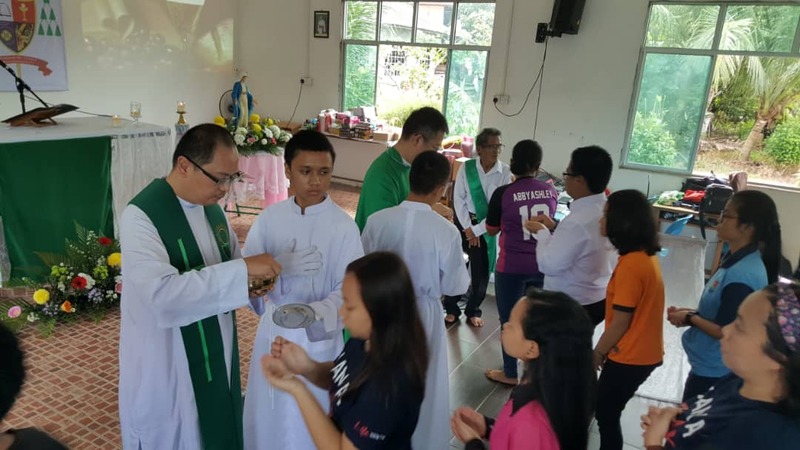 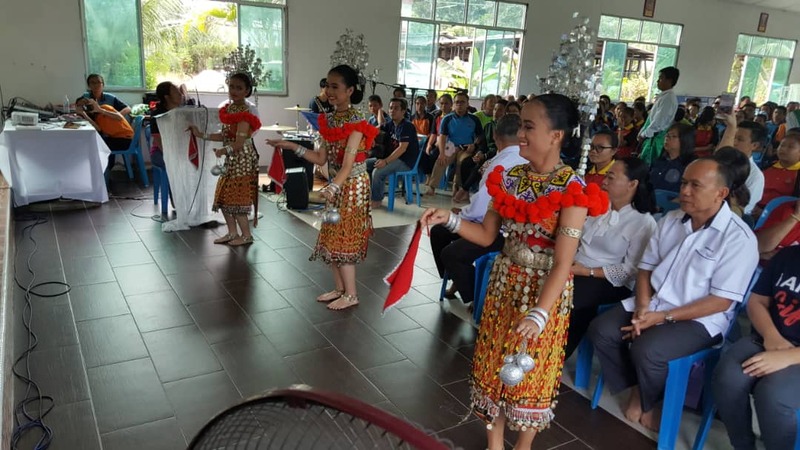 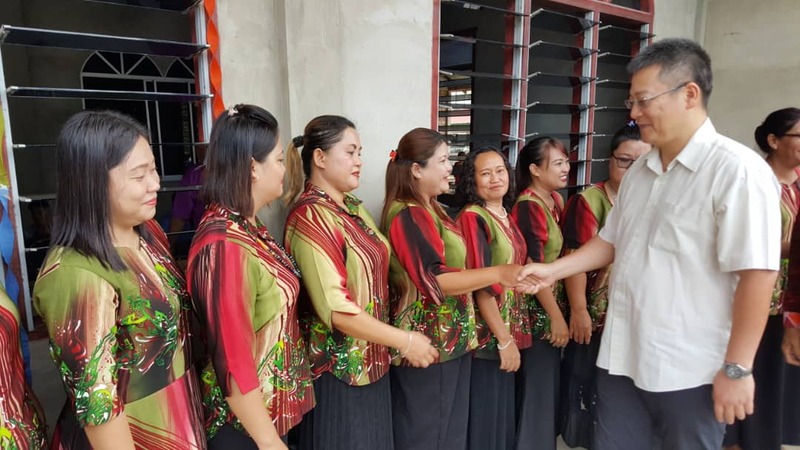 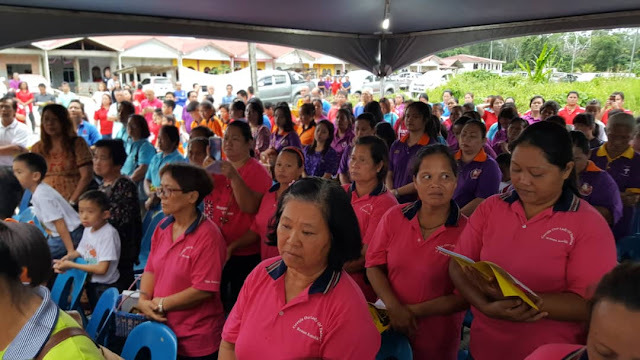 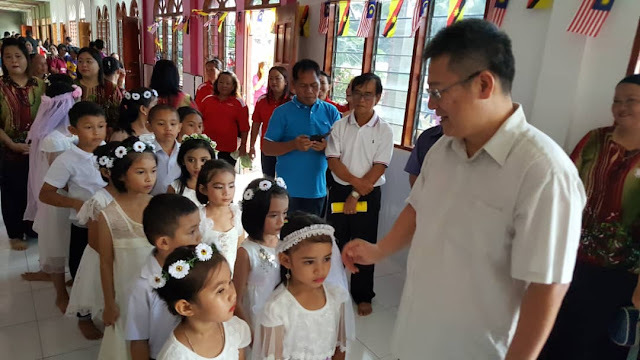 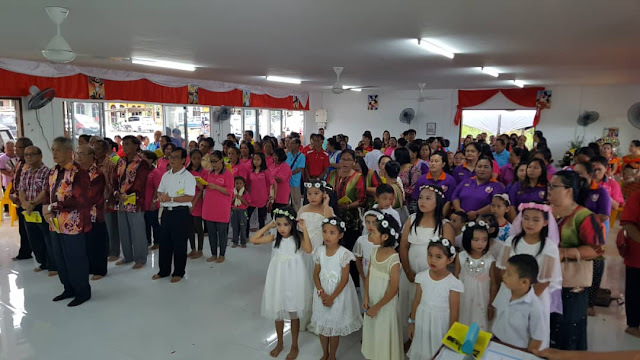 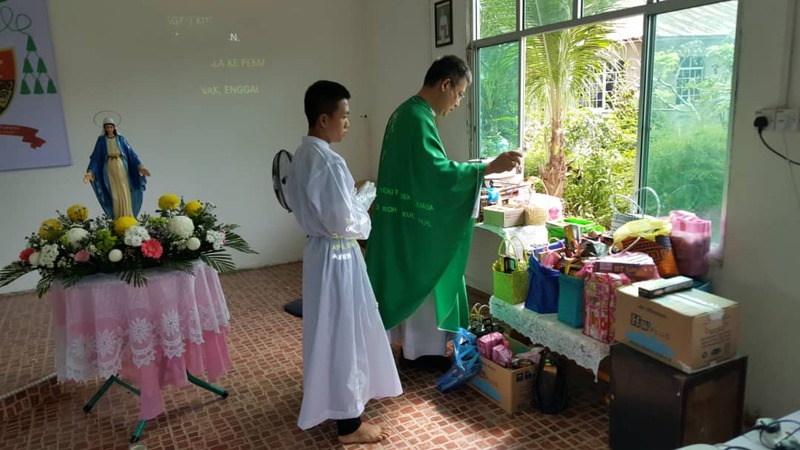 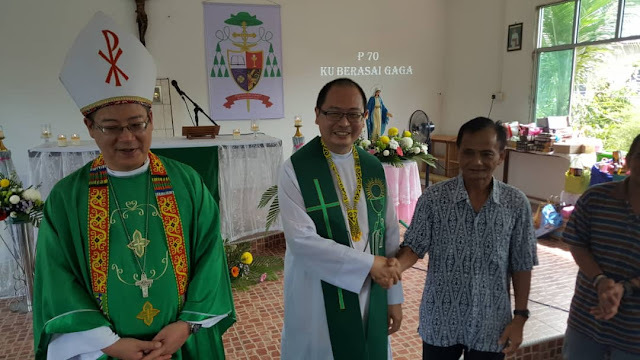 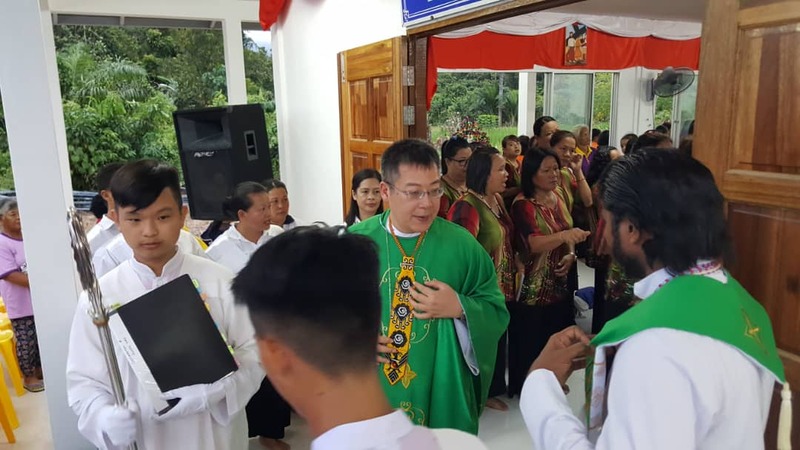 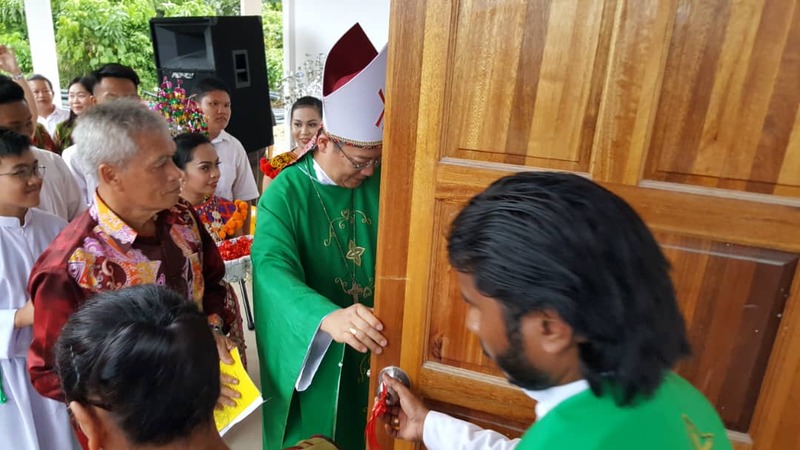 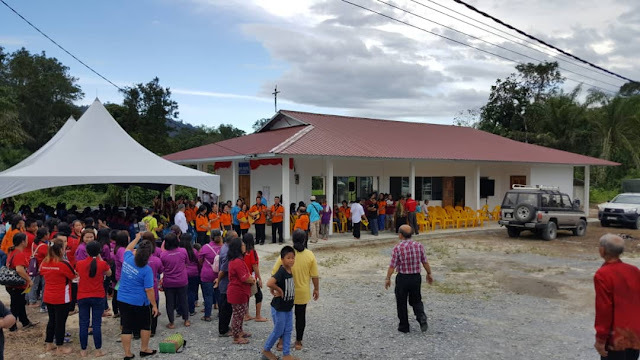 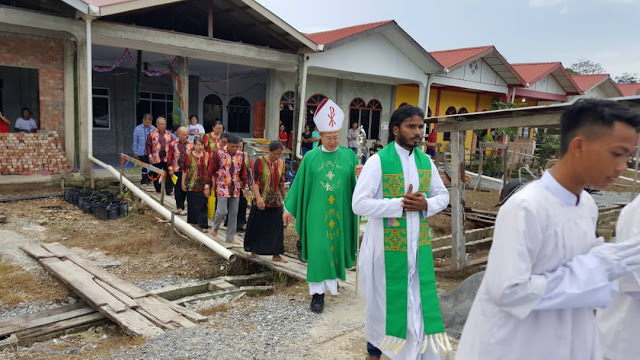 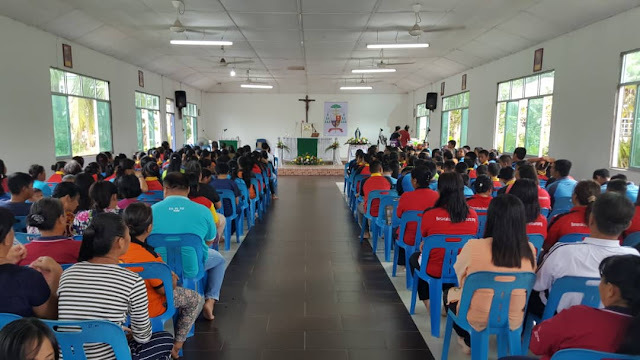 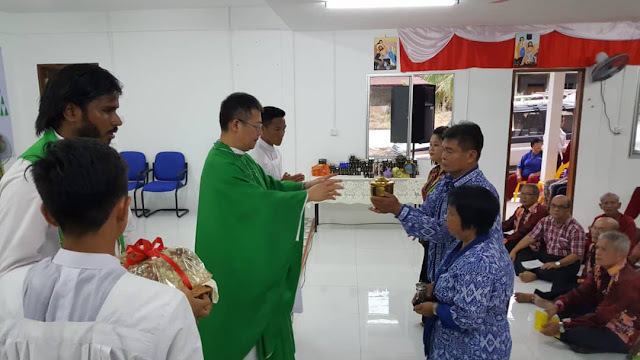 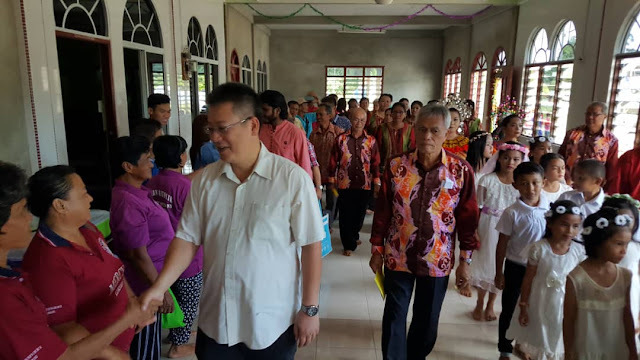 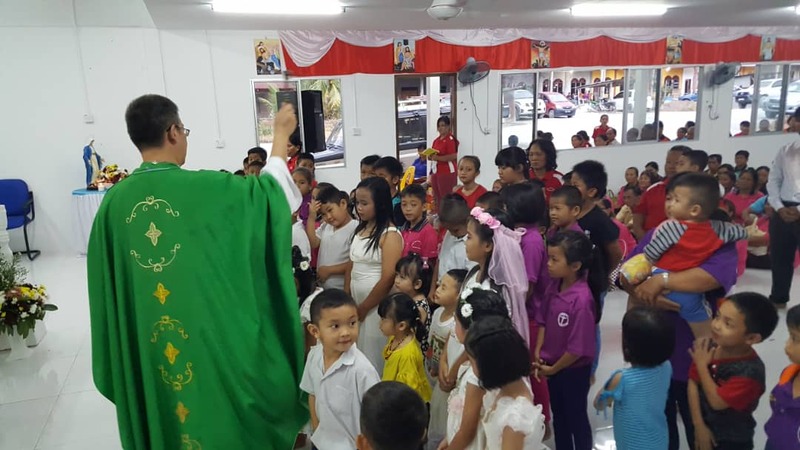 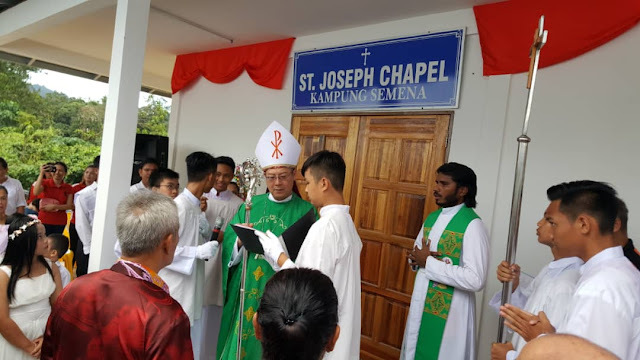 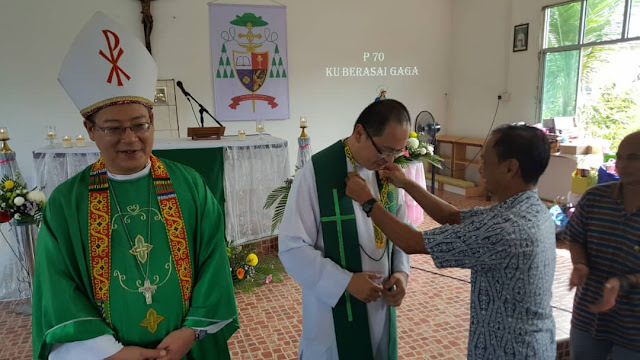 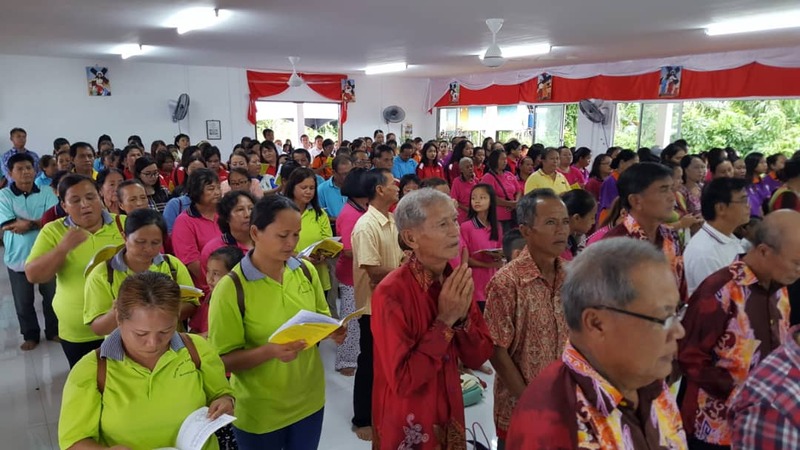 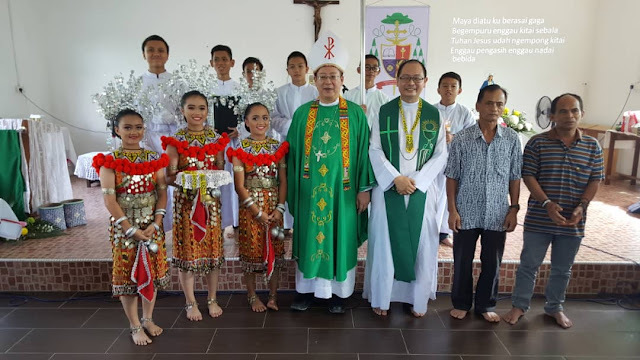 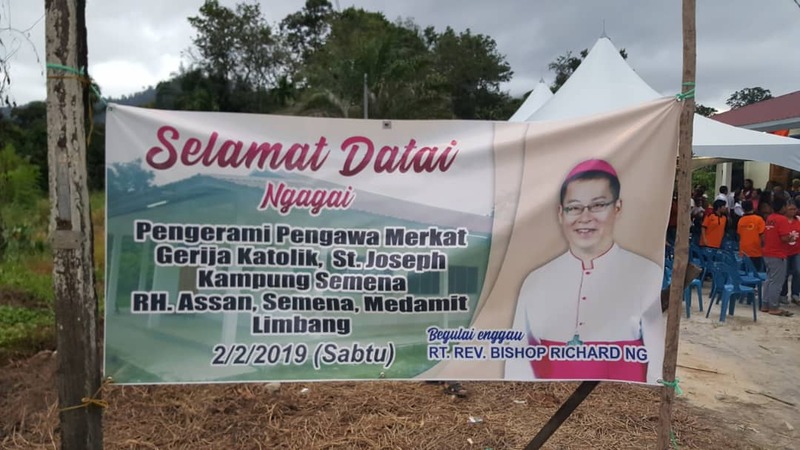 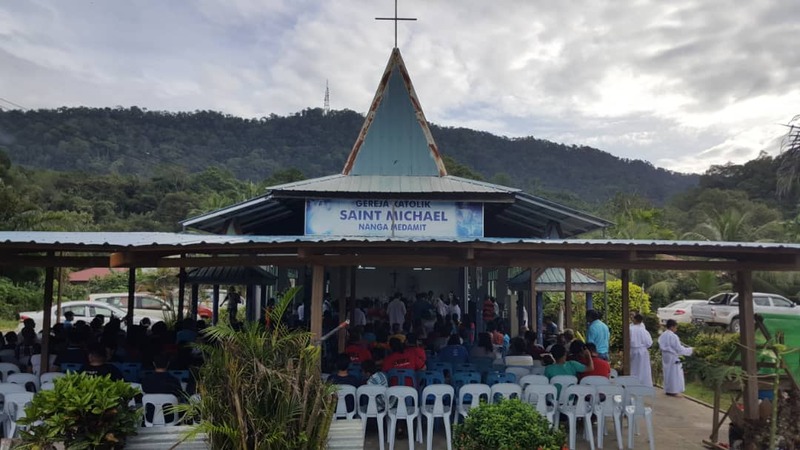 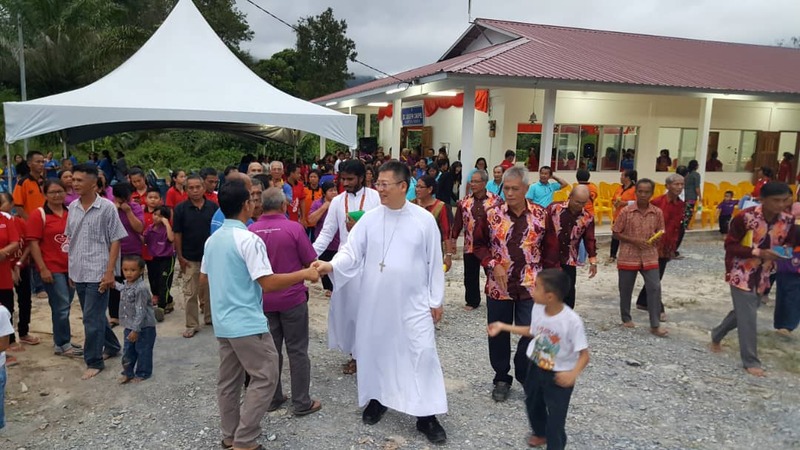 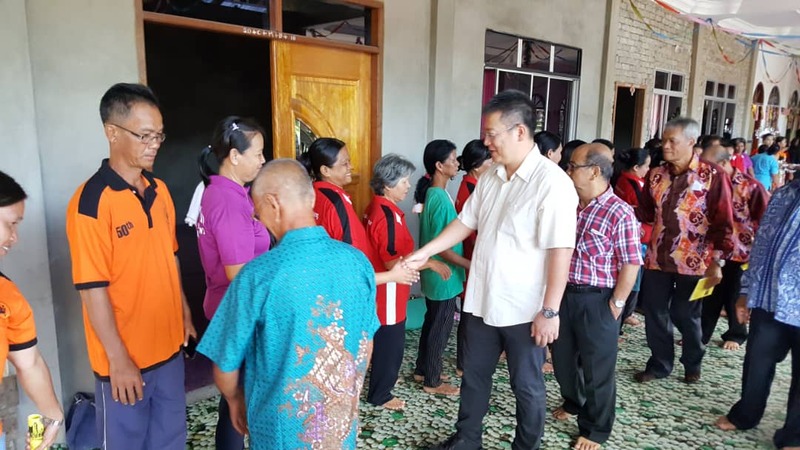 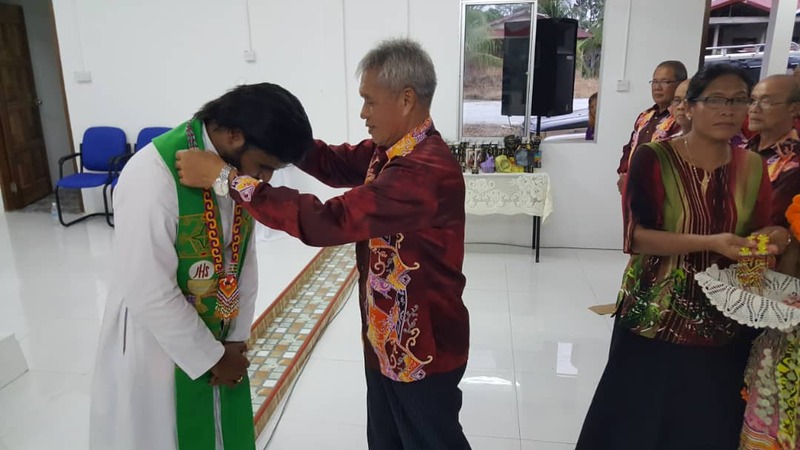 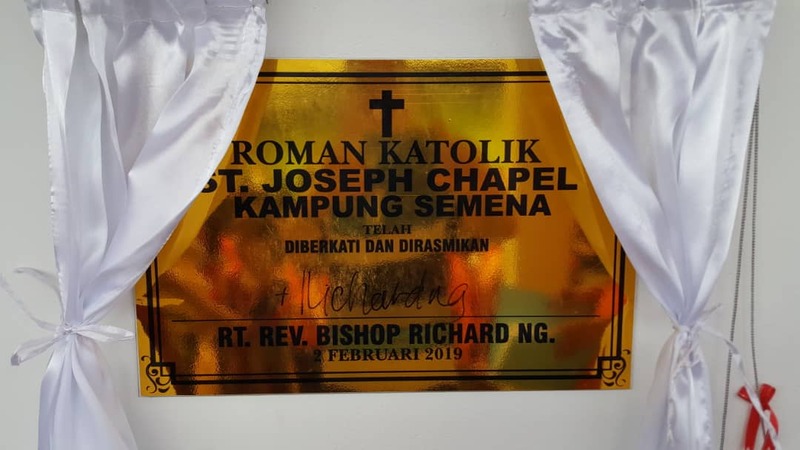 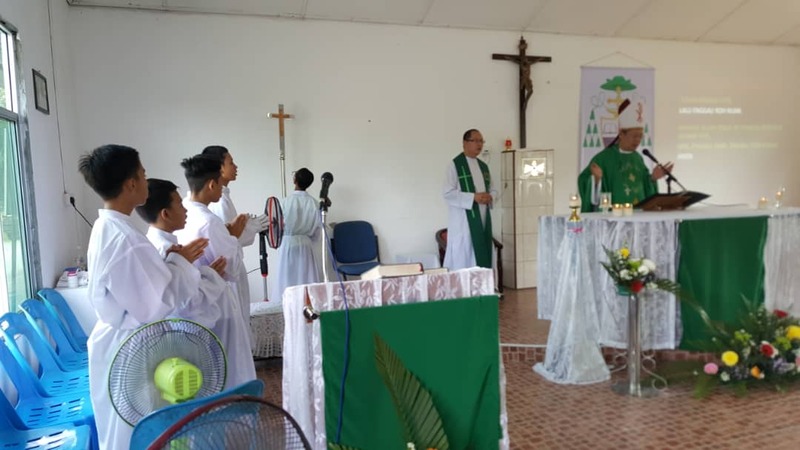 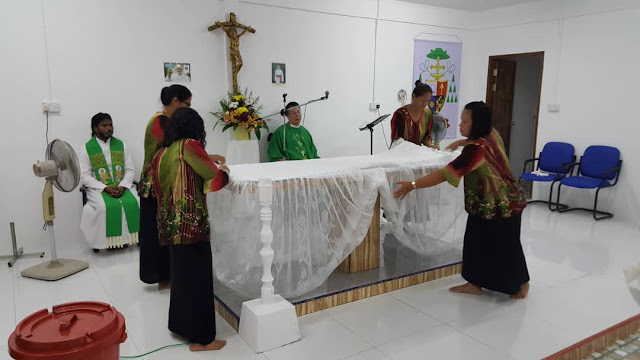 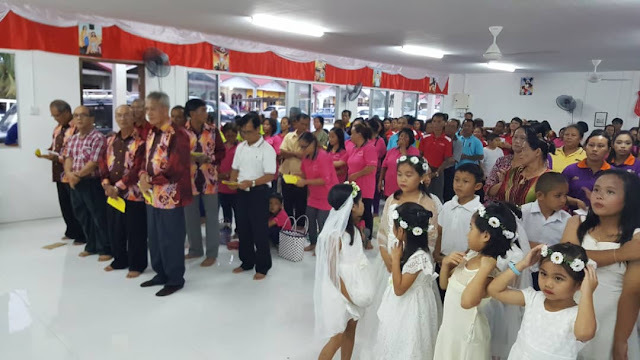 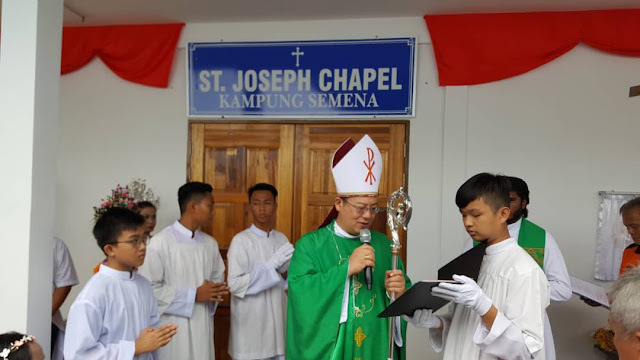 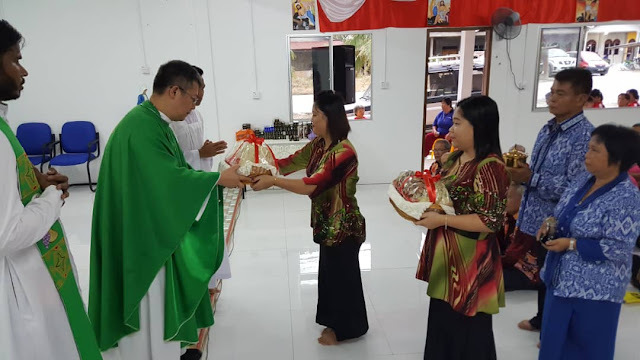 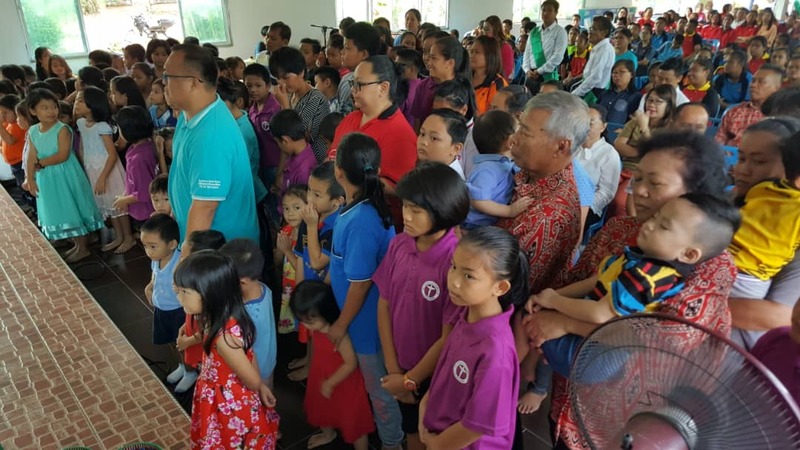 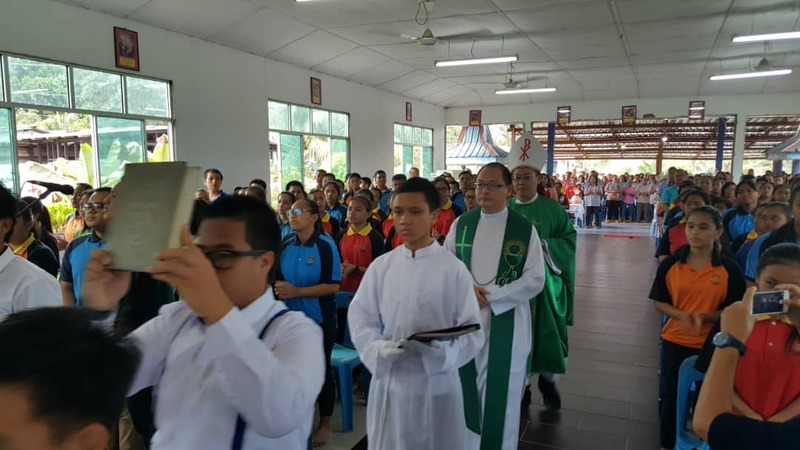 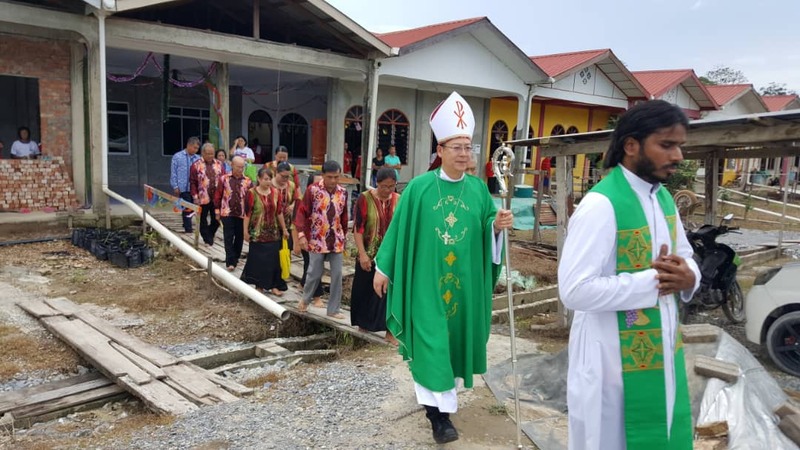 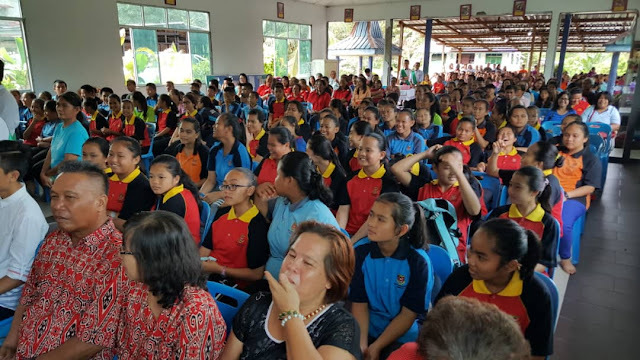 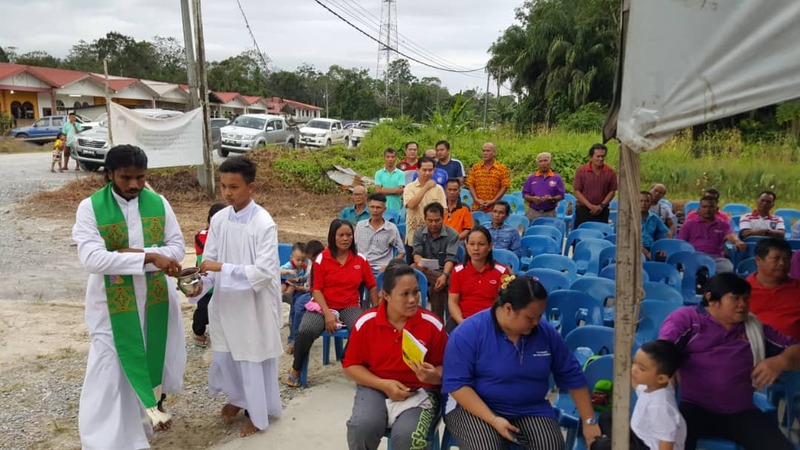 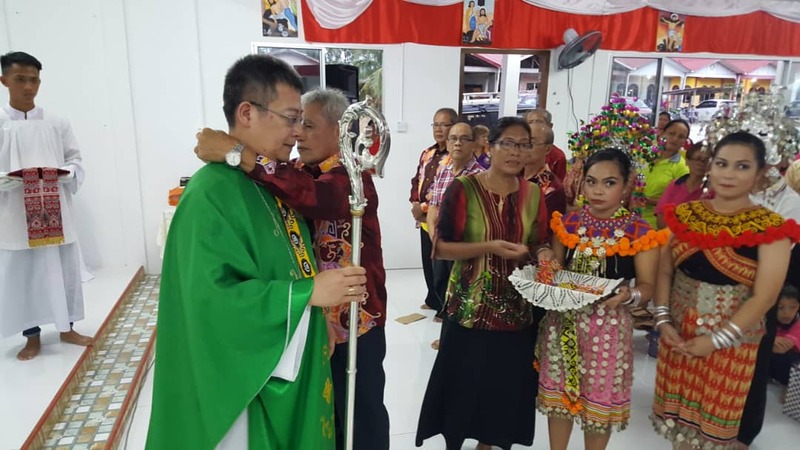 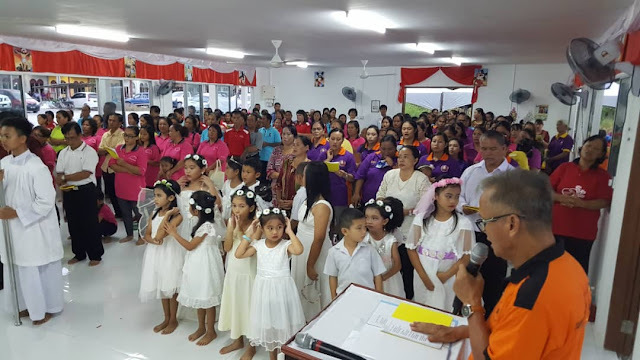 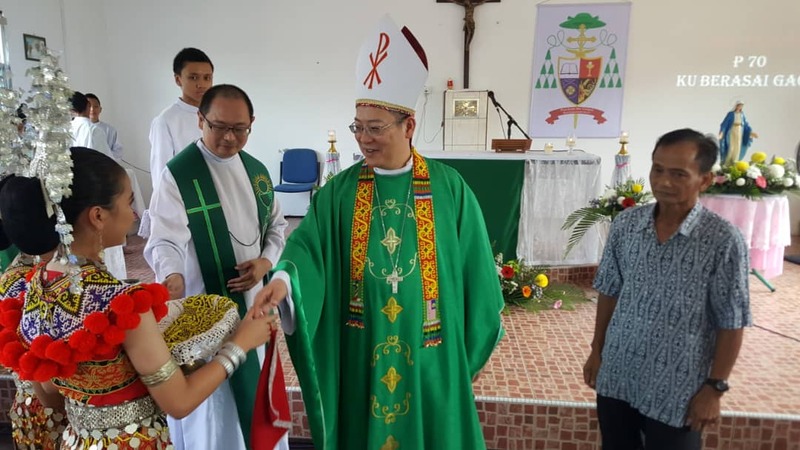 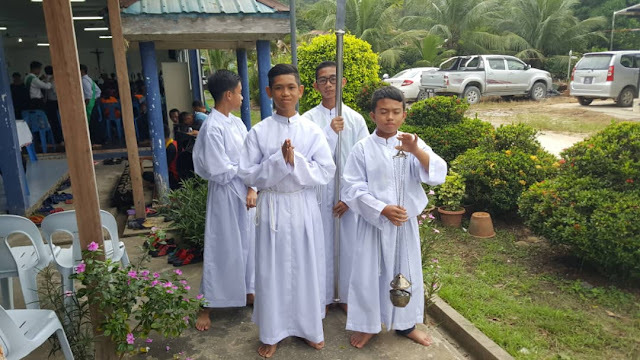 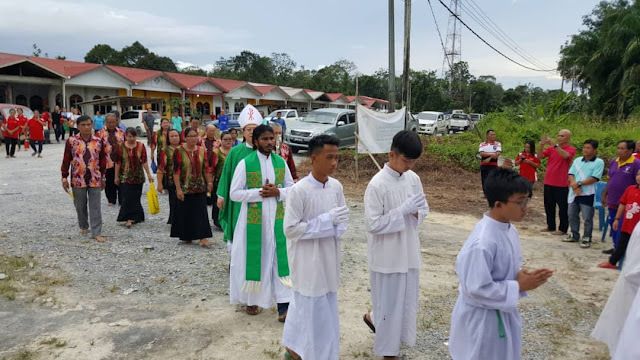 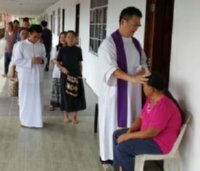 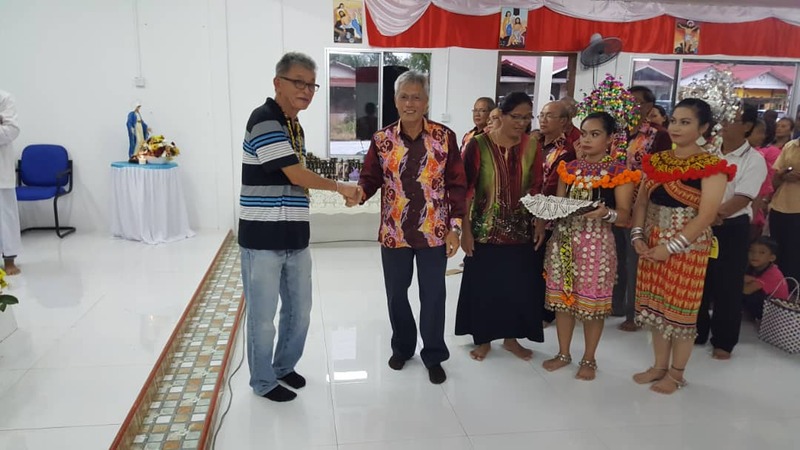 The Diocese of Miri first pastoral visit for the year took place on 2nd February 2019 at St Edmund parish, Limbang where Right Reverend Bishop Richard Ng blessed the newly constructed chapel Gerija St Joseph situated next to longhouse Rumah Assan, Kampung Semena, Medamit, Limbang. 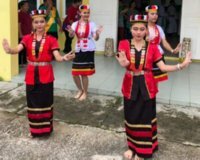 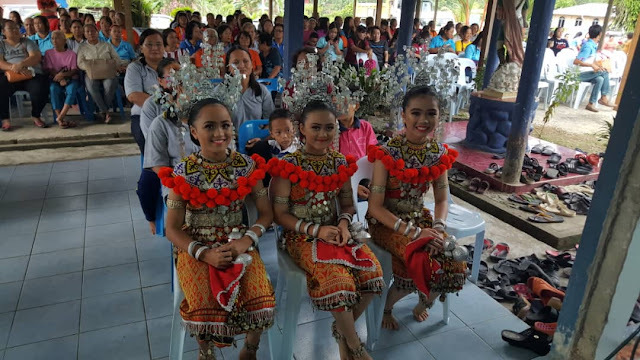 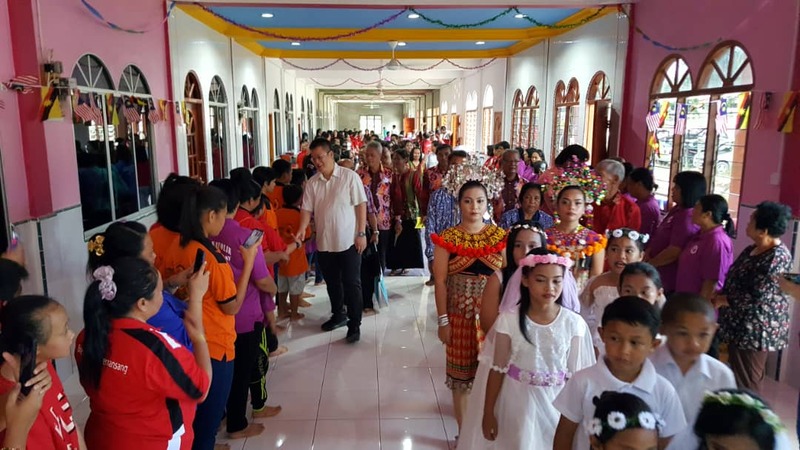 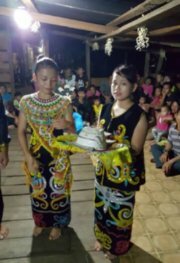 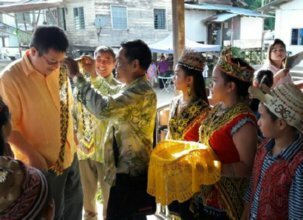 Rumah Assan is a 92 doors Iban longhouse built in four blocks A to D. The tua kampung Assan ak Ngang mentioned there are around 500 Catholics residing at Kampung Semena. 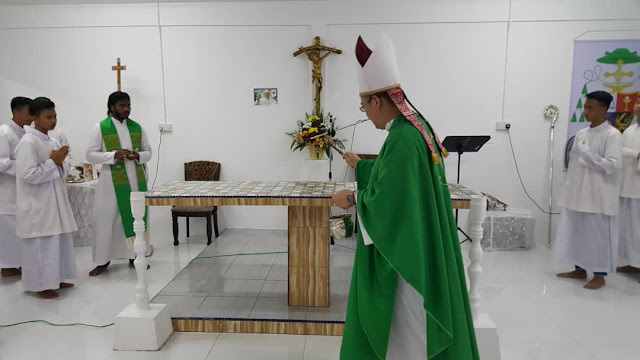 The project Gerija St Joseph designed for 200 seating capacity began construction in July 2018 and completed on target where His Lordship Bishop Richard Ng and Fr. 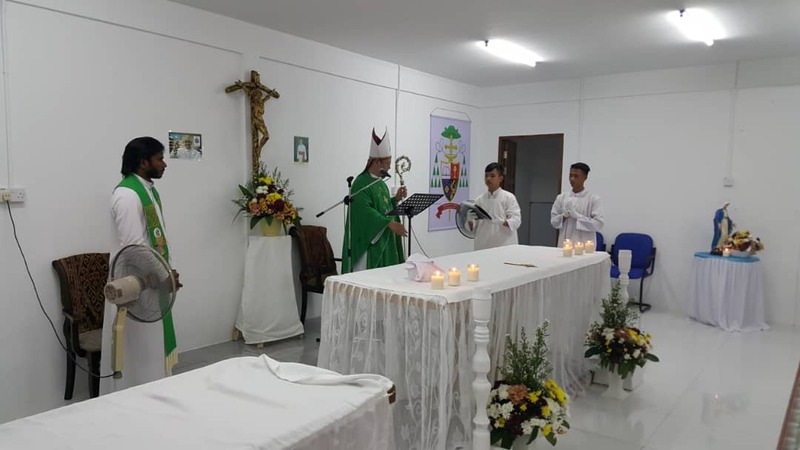 Ravindra Babu (Christu) celebrated the first sunset Mass on 2nd February 2019 with some 500 parishioners participating in the blessing and opening of the new chapel. 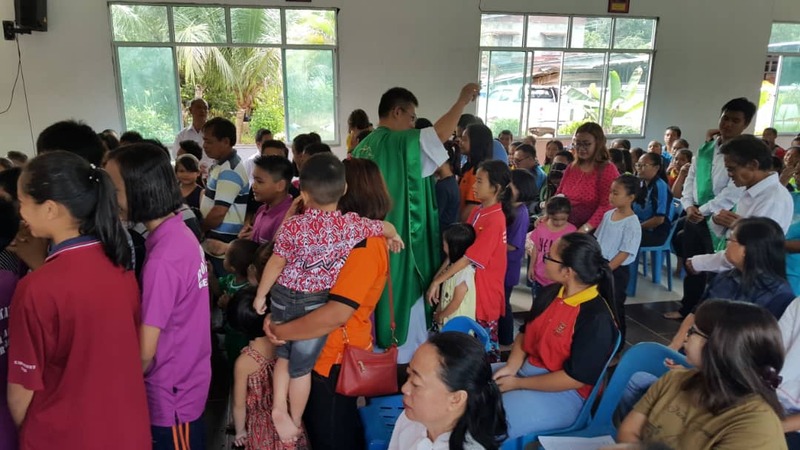 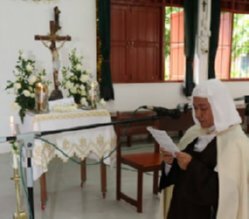 The journey by road Miri to St Edmund parish, Limbang registered 185 km one way and another 45 km from St Edmund Church to St Joseph Chapel, Rumah Assan, Kampung Semena, Medamit. 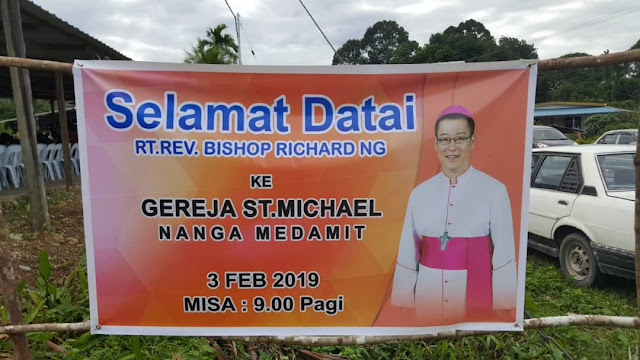 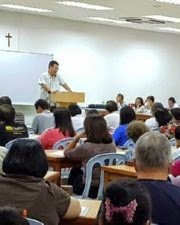 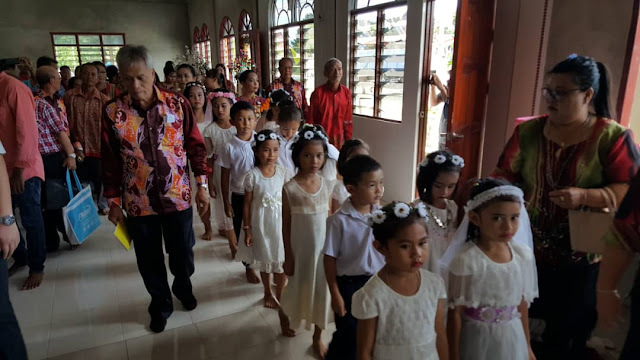 On 3rd February 2019, Right Reverend Bishop Richard Ng accompanied by Fr. 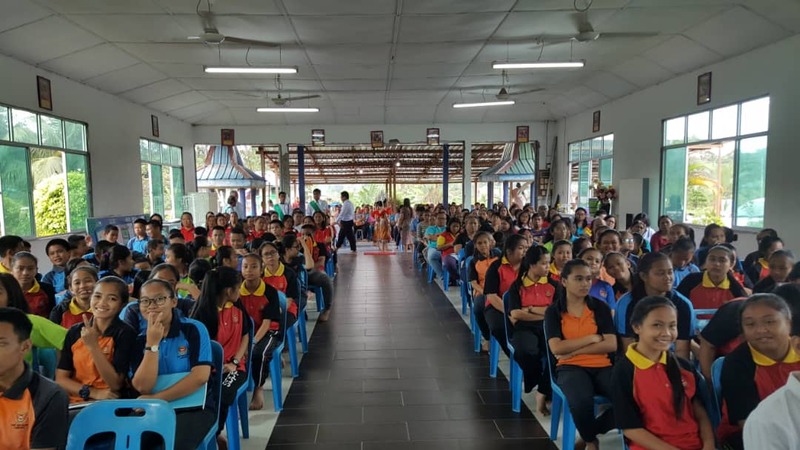 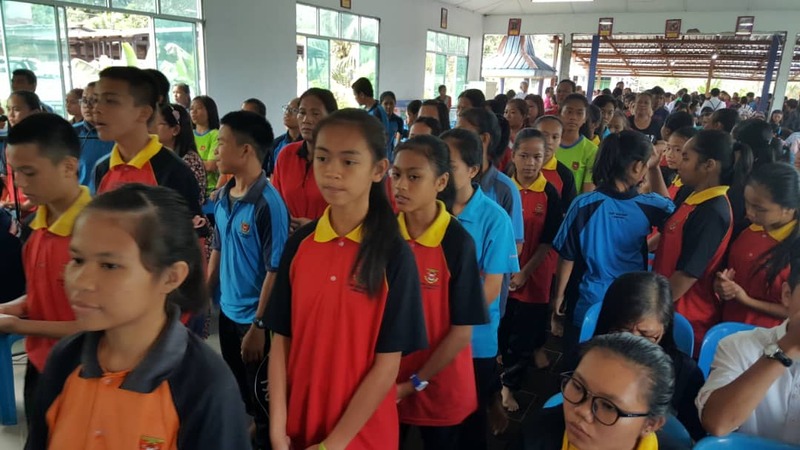 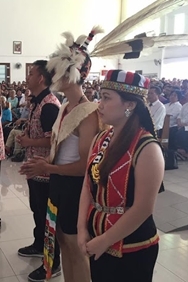 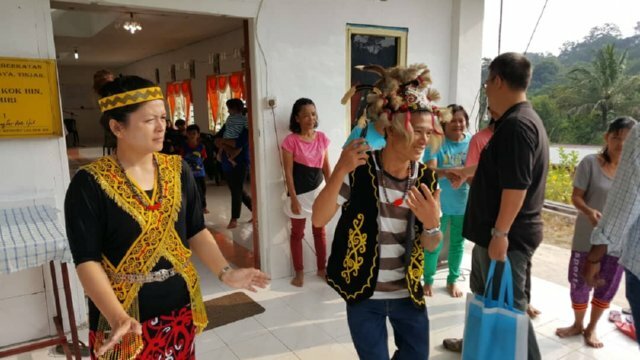 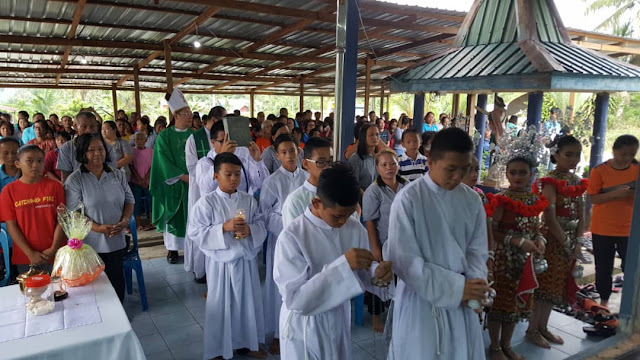 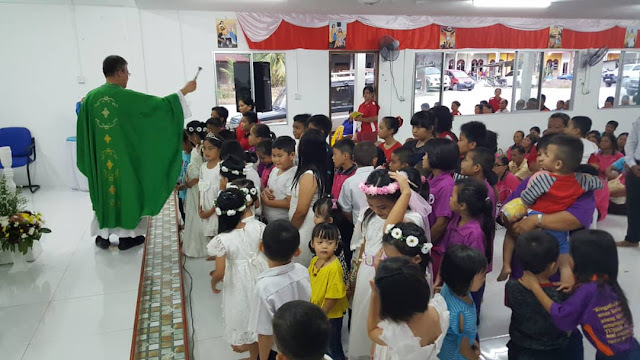 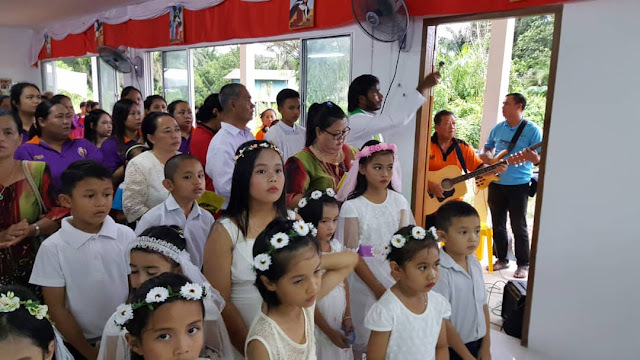 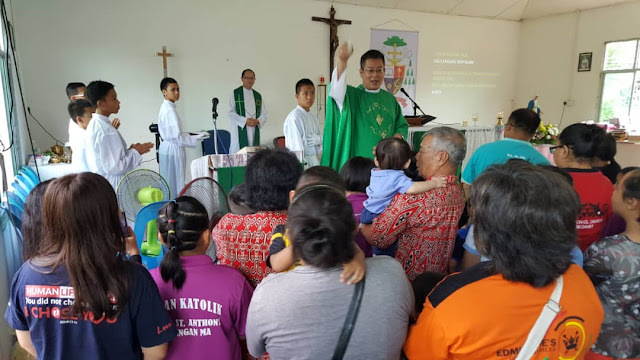 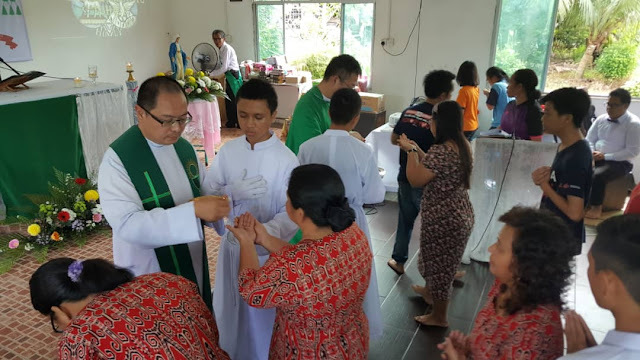 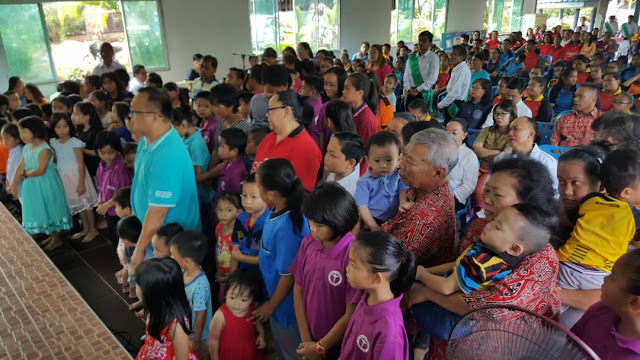 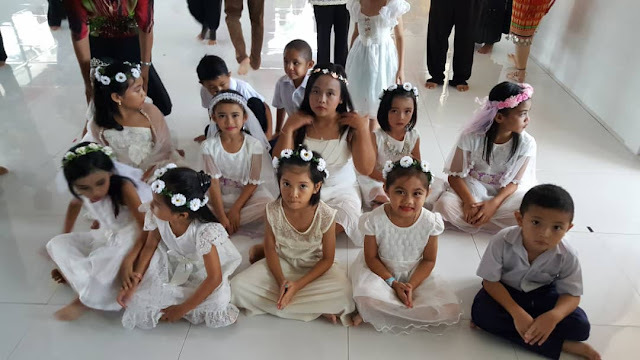 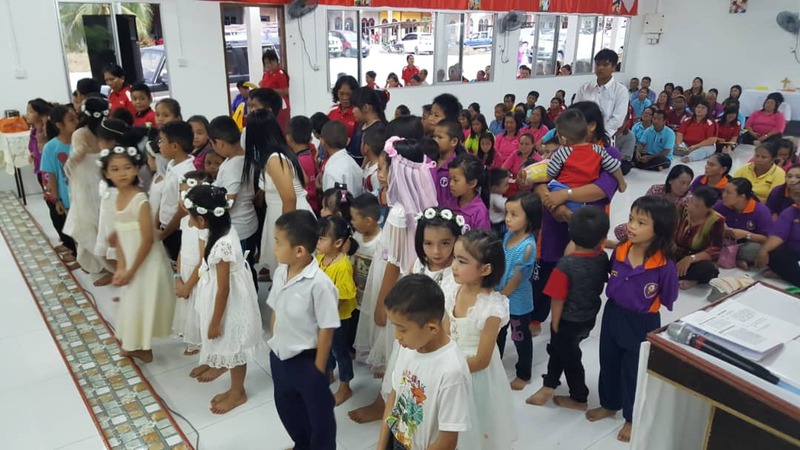 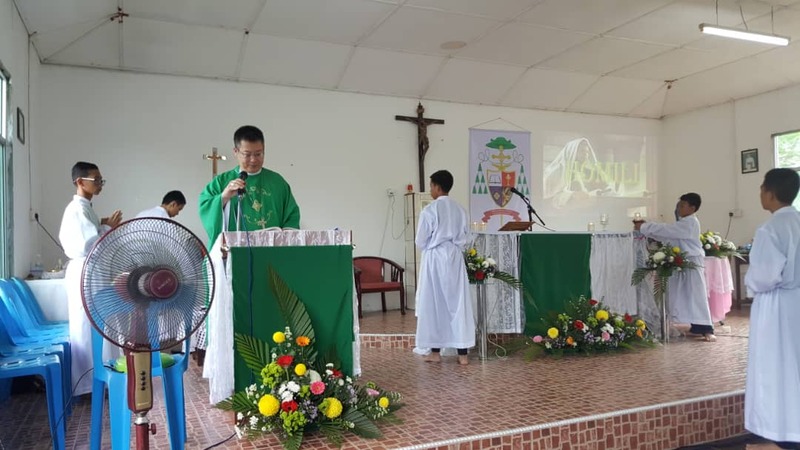 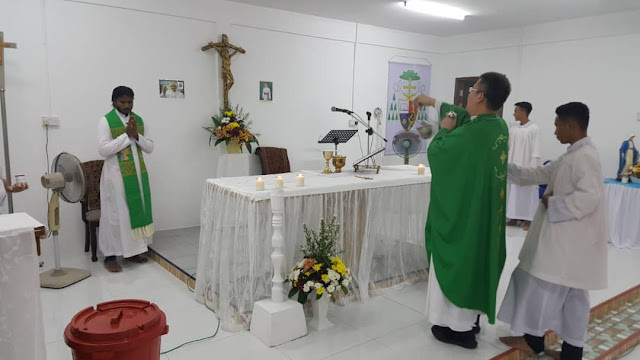 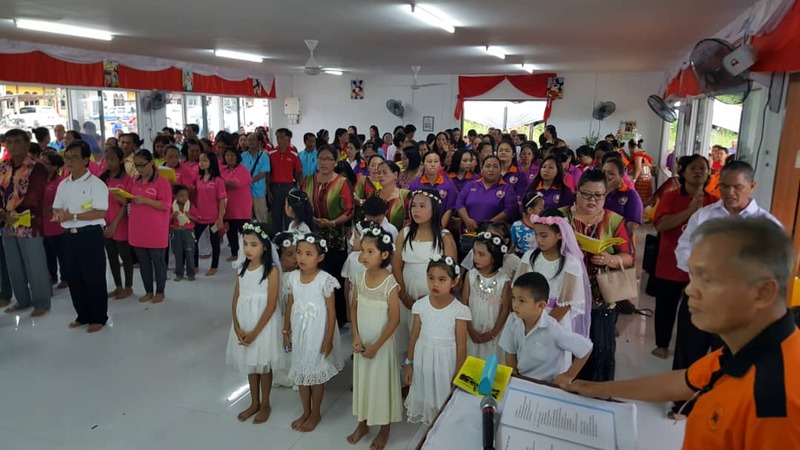 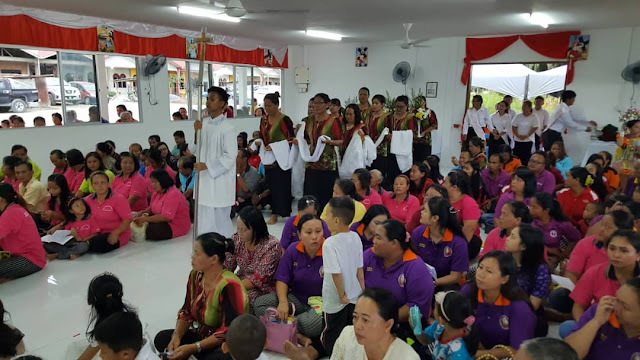 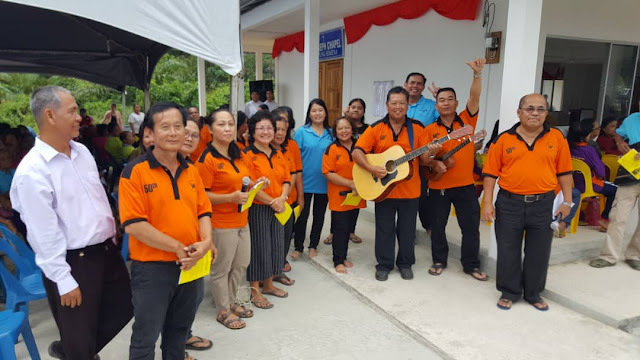 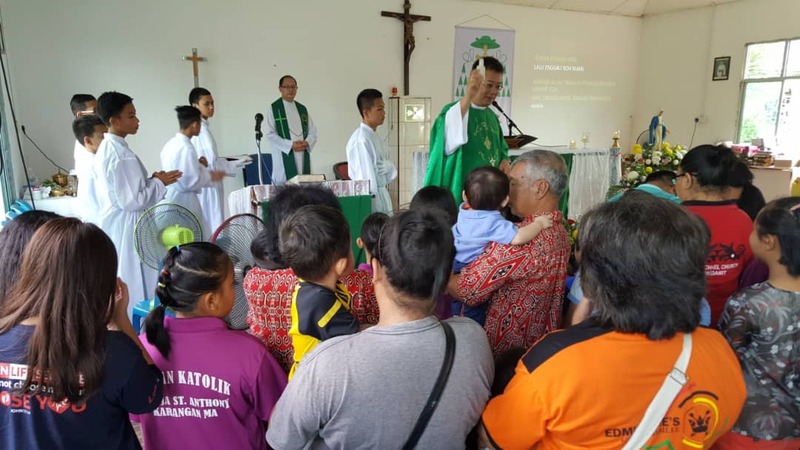 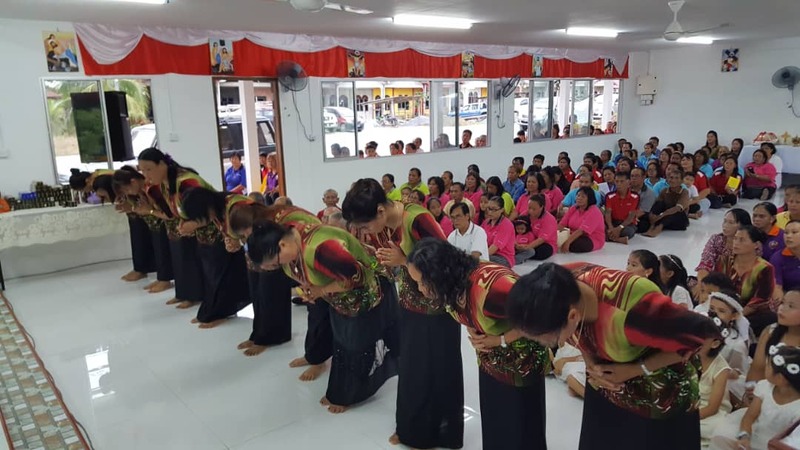 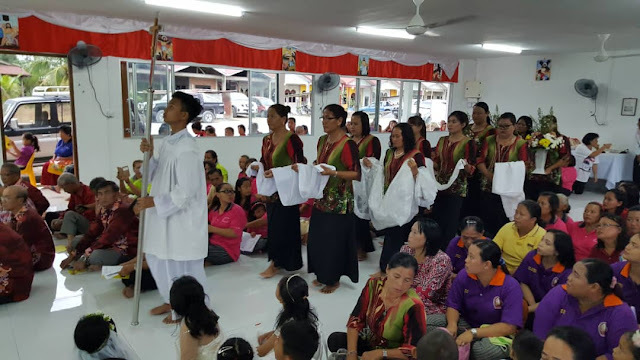 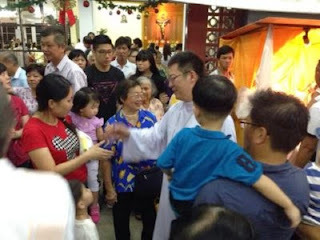 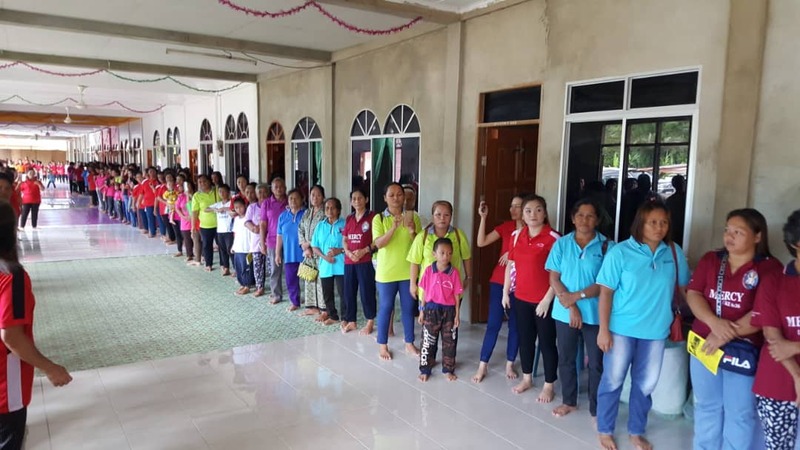 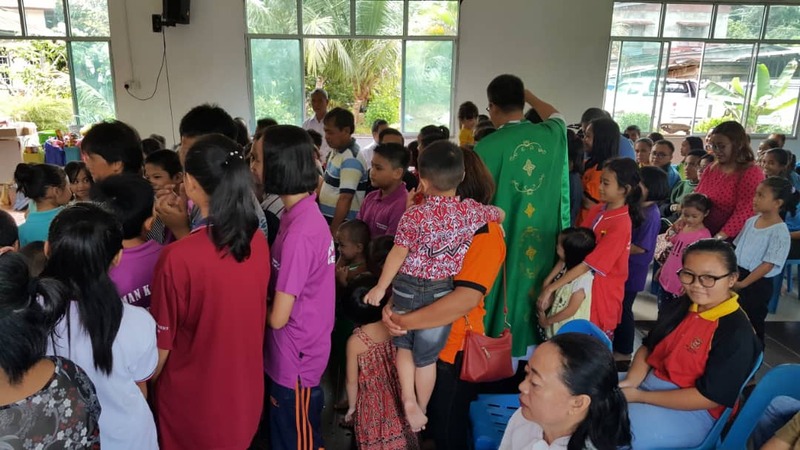 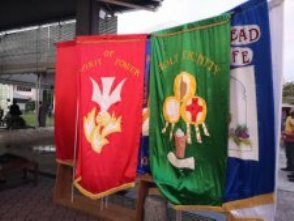 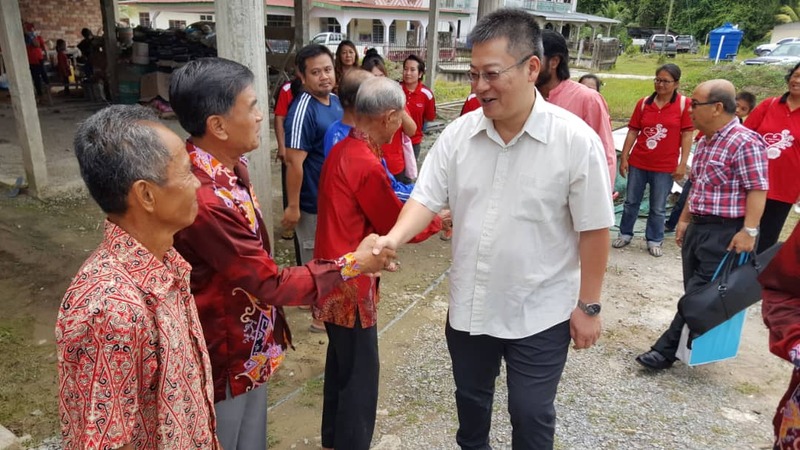 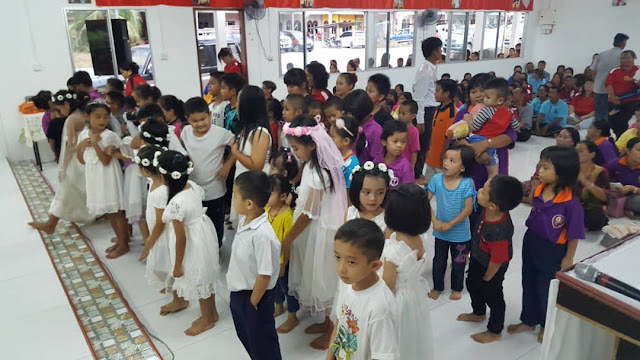 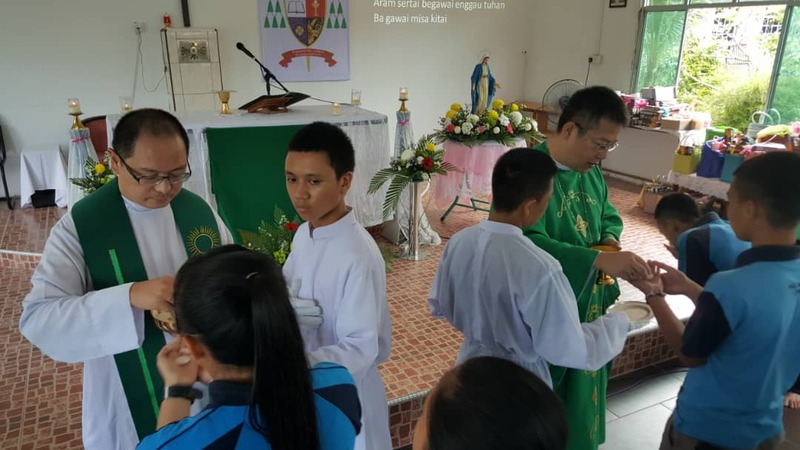 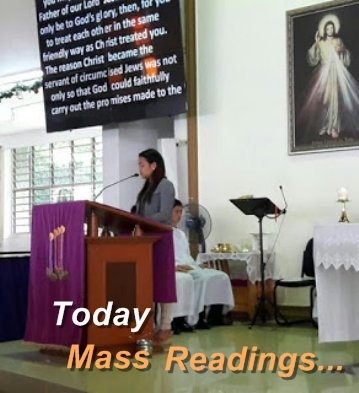 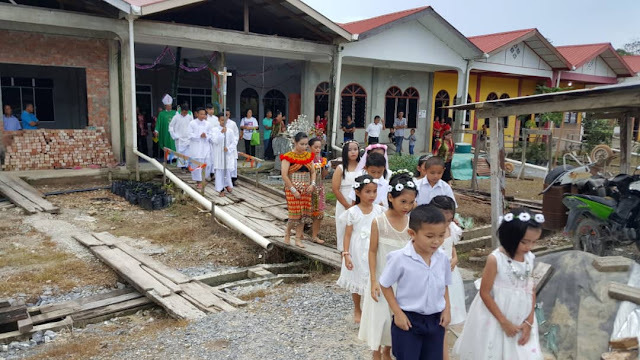 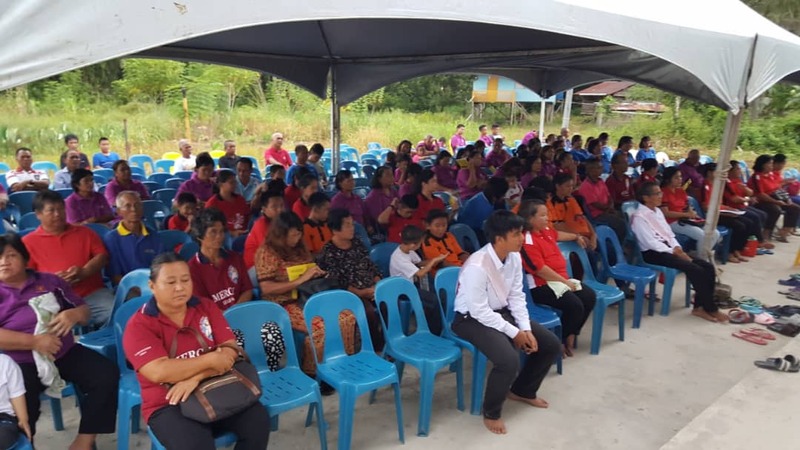 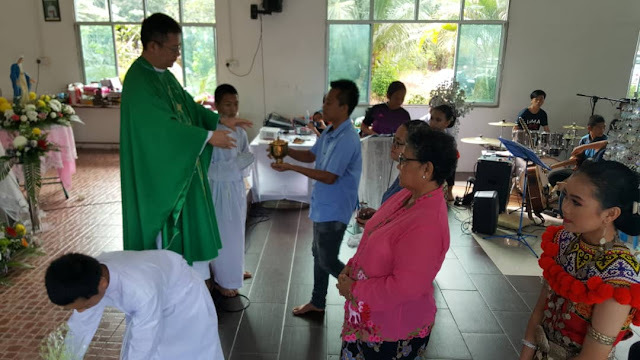 Peter Hwang celebrated Sunday morning Mass with some 600 parishioners at Gereja St Michael, Nanga, Medamit located 38 km away from St Edmund Church. 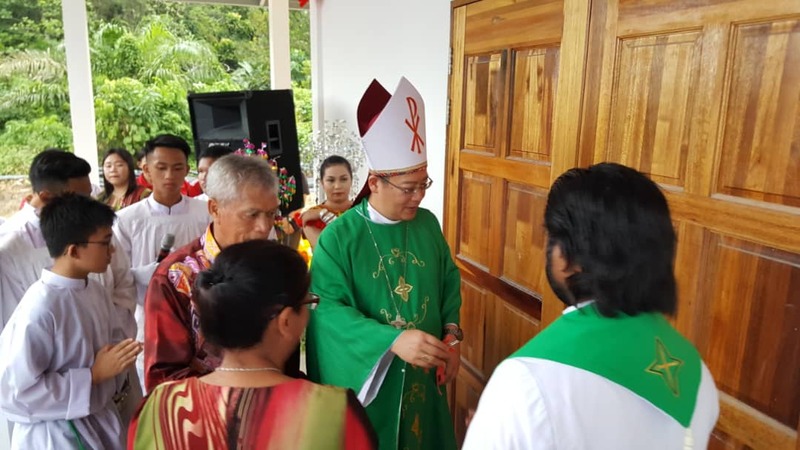 Gereja St Michael recently completed renovation with the extension at the front entrance and a hall at the back. 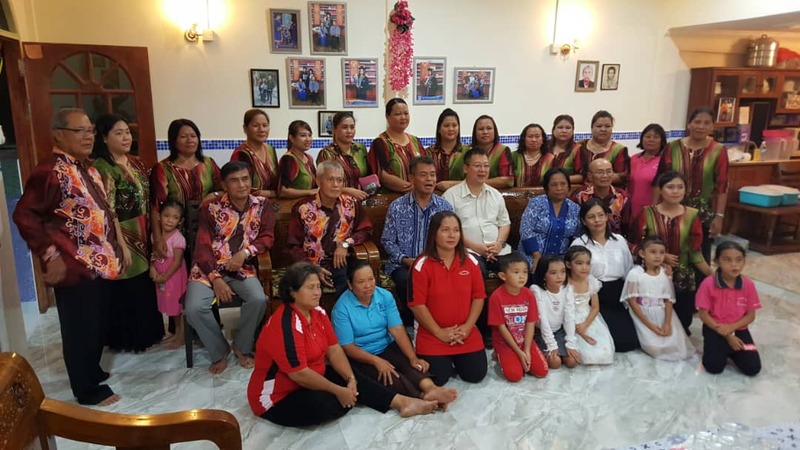 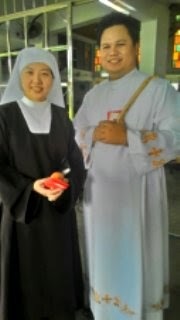 The total return journey recorded 500.1 km upon reaching Bishop's House Miri.